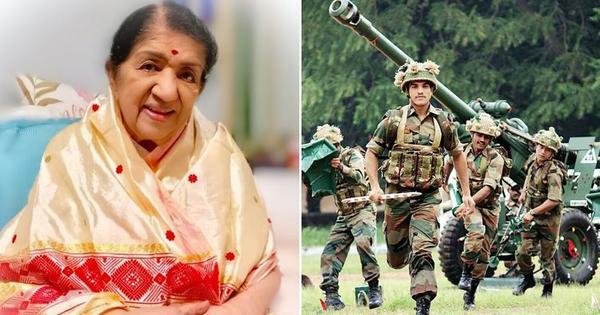 Terrorized by the February 14 terror attack that killed at least 40 CRPF soldiers in Jammu and Kashmir’s Pulwama, veteran singer Lata Mangeshkar has vowed to donate Rs 1 crore to sustenance the Indian Army in the current time of crisis. Legendary singer Lata Mangeshkar will donate Rs 1 crore to the Indian Army alongside her brother Hridaynath. Master Deenanath Mangeshkar Smruti Pratishthan Charitable Trust will also donate Rs 5 lakh, to the martyred in Pulwama terror attack. "We salute the sacrifice of those who stand at the borders for our welfare. This is our humble contribution," Hridaynath said to media houses recently. Talking about her choice to donate money, Lata told a leading domestic news channel that- "Many people in the industry always help soldiers who sacrifice their lives for the nation. Even now, people from the industry are helping out. We have also announced something from our end." However, Mangeshkar isn’t the only celeb to have pledged donation to the Indian army. Actor Amitabh Bachchan has donated Rs 5 lakh each to the families of the 50 soldiers, the amount totaling to Rs 2.5 crore. Akshay Kumar had swore to donate Rs 5 crore through Union Ministry of Home Affairs’ fundraising initiative Bharat Ke Veer. Others who have come forward to help, include actor Salman Khan, cricketer Virender Sehwag, boxer Vijender Singh, rapper Badshah and singer-actor Diljit Dosanjh.